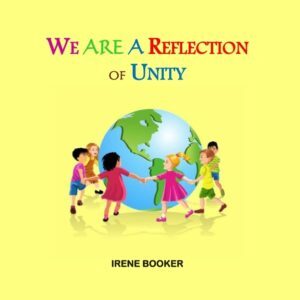 Irene carries her authorship of children’s literature in especially high regard because through her beautifully placed words and expert advocacy, she is able to give otherwise marginalized children the stepping stones that they need in order to realize that they hold the strength to manifest their own destinies. These themes have been specifically chosen to inspire pride in children who would otherwise struggle with self-esteem and identity problems by showing them the value of their shared history. 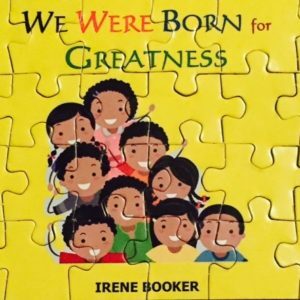 Specifically, Ms. Booker wants to allow her young readers the opportunity to know the past, accept it, and embrace their own future through an understanding of who they are and why they are here. Young readers will learn that their ancestors were much more than slaves and that they are deserving of having their sacrifices carried on in order to achieve an American Dream that they forever strived toward. The strong message of surpassing all insecurities in the pursuit of a better life than that of their ancestors is sure to positively touch the lives of young readers and formulate a seed of success that is sure to grow. Young readers need only to pick up a book and let their imaginations guide them along the course of mental freedom that is beyond their own mental constraints. Order today and experience the difference for yourself that Ms. Booker can make in guiding children toward living their own purpose!